Synthetic biology: What is it? Why does it matter? 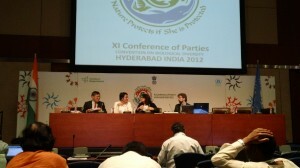 And why are some countries and NGOs pushing for this discussion at COP11? On Thursday in Working Group 2, during a seemingly innocuous discussion on Operations of the Convention, a relatively heated discussion caught my attention–delegates were debating a topic buried under agenda item 6.2 of the COP: Synthetic Biology. Item 6.2 actually deals with consideration of the “need to strengthen existing mechanisms of the convention,” but this bland title prefaces draft decisions on ways to improve the effectiveness of the Subsidiary Body on Scientific, Technical and Technological Advice (SBSTTA). Within the draft decisions are three proposed textual options for dealing with (or ignoring) the topic of synthetic biology as a new & emerging issue. So what is synthetic biology? This morning, now the fifth day of the conference, I realized that there is no way I can follow everything I am interested in, nor everything that I see as most crucial to follow. Took me a while…However, with the help of the marvelous Earth Negotiation Bulletins, and by attending the CBD Alliance briefings and GYBN daily meetings, I've been able to get an overall view of the proceedings. The pace seems to have picked up in the last couple days — yesterday (day 4 of the COP) even saw the adoption of a few decisions. However, with some exceptions (as with the Global Taxonomy Inititive decision, which passed through with flying colors), this progress does not signify that there is a lack of dissent in negotiations. Discussions in the Working Groups and in the smaller Contact Groups and Friends of the Chair meetings have led to some frustration for both observers and delegates. **Note — two self-corrections, as I wasn't able to re-record: 1) Obviously, I'm reporting on COP 11, not 10; 2) The existing voluntary fund is for ILCs — Indigenous [Peoples!] and Local Communities, not LDCs. Video Blog: Youth meeting with CBD Executive Secretary, Braulio Dias from [Earth in Brackets] on Vimeo. During the opening ceremonies of the COP, the Global Youth Biodiversity Network was scheduled to deliver a youth intervention, but, like many other observers, we were pushed so far down the schedule by lengthy State speeches that our moment to speak never came. 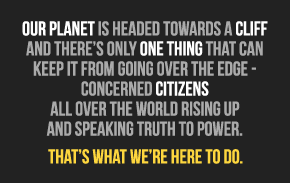 CBD COP11 youth statement, 10.10.12 from [Earth in Brackets] on Vimeo. Day two of COP 11 to the Convention on Biological Diversity–my first day at the conference venue–opened rather earnestly, with scores of delegates still registering, picking up their complementary messenger bags and water bottles, and inspecting the screens which slowly scrolled through the agendas for the day. After some time spent wandering the venue and getting to know the lay of the land, I found myself in the Working Group II session– The morning sessions for working groups I and II were scheduled to address Marine and Coastal Biodiversity, and Financial Resources and Financial Mechanism, respectively. Noting that there were plenty of youth in Working Group I, and almost none in Working Group II, I decided to bite the bullet and find out how biodiversity conservation was being financed. After a rather ominous amount of time spent catching up on unfinished work from the day before, the chair opened discussions on the strategy for resource mobilization with a video message from the chair of the High-Level Panel on Global Assessment of Resources for Implementing the Strategic Plan for Biodiversity 2011-2020, Pavan Sukhdev. Sukhdev emphasized that the Strategic Plan is “actually about sustainable development,” with connections to food security and human health, among other things. Like the Sustainable Development Goals, the Aichi Biodiversity Targets are so interconnected that developing succinct cost estimates is nearly impossible. For this reason, the report of the High-Level Panel is very preliminary, and estimates on the amount of funding necessary to achieve can vary a huge amount — the necessary recurrent expenditure per annum for Target 1 (raising awareness) is estimated at between 4.4 million to 1.4 billion US dollars. Numbers like this may be staggering at first glance. But, as Sukhdev also pointed out, the results of the assessment suggest that upfront investment needs tend to be greater than the resources required for ongoing activities; an estimated 60-70% of the overall global resource needs for reaching the Targets over the 2013-2020 period are one-off investments. The report also stresses that these expenditures should be recognized as part of the wider resource needs for promoting sustainable development. With this in mind delegates began putting forward their countries’ statements on the Strategy for Resource Mobilization, bringing to light several debated points. Goal 2 of the Strategy (strengthen national capacity for resource utilization and mobilize domestic financial resources) was indirectly referenced separately by several developing states, who, in response to developed country remarks on the need for data collection in more countries in order to develop more baselines, highlighted the need for capacity building and funding for countries to perform national assessments of needs and funding gaps. The establishment of these ‘baselines,’ i.e. current levels of expenditure on the Aichi Targets, was another point of contention. Some countries, such as Canada and Japan, were unsure that the existing information was enough to establish baselines, and as such, stated that work on establishing targets would be premature at this, or even the next, COP. However, several countries, including Namibia, Kiribati, India, and Mexico, stressed the importance of adopting at least preliminary targets and baselines at this meeting, in order to “build confidence among parties’ and begin more concrete work. Mexico, in particular, said it would be a “serious mistake” to delay implementation. NGOs chimed in as well, with the Third World Network reprimanding Parties for advocating for more talking and less action. Also on the agenda were discussions on the GEF report, Guidance to the financial mechanism, and needs-assessment for the sixth GEF replenishment cycle. Representatives of GEF reported on biodiversity-related activities during the first two years of the GEF-5 cycle, and on the assessment of funding needs for GEF-6. 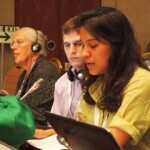 Parties made several suggestions on improving the efficacy of GEF as the financial mechanism for the CBD– Mexico stated that despite the impressive and detailed numbers of the GEF report, a simpler methodology for understanding the rationale behind application of GEF funds would be welcome, and several parties stated that the COP should suggest that GEF improve the timeliness of financial support. Discussions on the financial resources and mechanisms went well over time despite the Chair’s frequent and somewhat stern-fatherly requests to keep statements brief, putting WG II behind schedule on the second day of the COP. It was only to be expected, however; like any environmental agreement, implementation depends on funding, and talks on money will never be brief and to the point. Much of the discussion was taken up by countries reporting on progress made so far in resource mobilization. This is necessary, but lengthy and self-congratulating declarations on how much a State has contributed are not, and naturally lead to more lengthy statements by less developed countries on how ‘we would like to contribute, but don’t have the capacity yet.’ All valid statements, but as TWN pointed out, more speeches, and more quibbling on the definitions of ‘new and adequate’ and ‘innovative’ funding, will not lead to the implementation urgently needed. The chair has decided that there is a definite need for a contact group on the financial mechanism to be formed — so with luck real action will be taken this weekend.